Like dogs, cats are naturally curious. But sometimes their curiosity gets the best of them, and this is especially true when cats eat strange things. As connoisseurs of life, many cats don’t hesitate to sample all sorts of objects from toilet paper to thread, clothing, and even rodents and insects.  While many of these things are able to pass through the intestinal tract without incident – and at a cat-owner’s dismay – sometimes a cat’s appetite for life can cause problems. This is definitely true for dogs as well – be sure to read about the dangers of foreign object ingestion to your dog. The most common problem with this is foreign body obstruction. A potentially life-threatening condition, foreign body obstruction occurs when one of the many strange objects (foreign bodies) ingested by your cat is unable to make it successfully through the intestinal tract. When the object becomes “stuck,” it can cause a lot of discomfort and be very dangerous. If you know your cat has ingested something he or she shouldn’t have, call your veterinarian immediately. In addition, inducing vomiting may allow the cat to rid itself of the object. You should never induce vomiting on your own without talking to your vet first; under the wrong circumstances, it could injure or even kill your pet. The object also may be removed through endoscopy, in which a long tube is inserted through the mouth of your cat and is used to pull the object from the stomach. Your veterinarian will make recommendations, and if this is the case, may also suggest hospitalization of your kitty for close observation and follow-up x-rays to track the progress of the item. One way to keep your cat from eating things he or she shouldn’t is to limit access to tempting items. When it comes to toys, it’s important to provide toys that are the right size and made of material that won’t easily break down into smaller, potentially dangerous pieces. If you’re not sure, ask San Bruno Pet – we will be your best resource in determining which toys and objects are safe for your cat and can also give you advice on how to prevent your cat from eating strange objects.